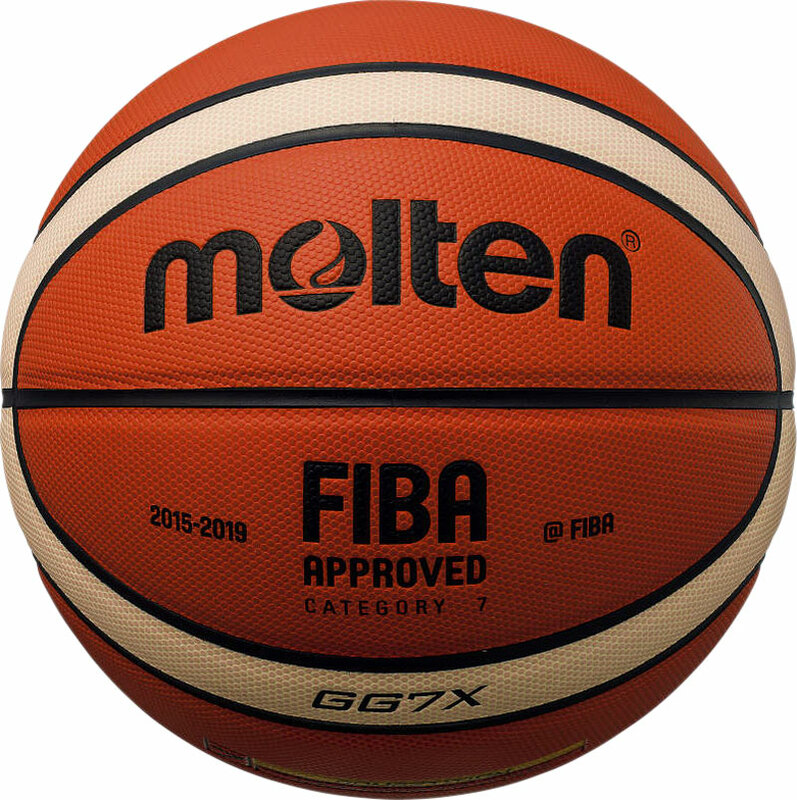 The Molten ® GGX Synthetic Basketball has parallel pebble construction for excellent performance and complete consistence of touch. Soft carcass dual cushion technology with retained high bounce back. Patented 12 panel Giugiaro design with full flat seams and a flat pebble surface for better fingertip control and consistent backspin. Its the Official ball for the BBL, Women's Basketball league, Basketball Ireland, Basketball Scotland (from 1st August 2015) BUCS and AOC. Excellent quality product, highly recommend it to everyone and for very reasonably prices. This basketball has excellent grip & feels comfortable in the hand. It has improved me ball handling skills. Purchased a number of GG7X’s for my local club. They have been nothing but brilliant. The majority of the local basketball league we play in use them, so it helps with consistency when practicing and playing competitively. No doubt we will be buying more in the near future as these have a positive impact on our club and helping it grow. We use these as our main match balls for all National League matches and they are simply fantastic with a great feel. Newitts were by far the cheapest available online! nice design and grip rolls of the hand beautifully, and it doesn't wears off as much as I thought it would while playing outdoors! Money well spend! i love this company because they deliver my item very fast and when i received my ball it was perfectly well said thats why im not thinking twice to buy again with confidence. i personally recommend this company specially for quick delivery. So far my new ball meets my expectations and more! I believe that it'll get better in the near future as i used it only for two 4 on 4 games. I would recommend it without second thought! The GG7X basketball feels and plays even better than the classic GG model. Ordering was straightforward and delivery was quick and smooth. Excellent basketball with good grip and feel. Very good value. Bought 5 of these as our club math and practice balls. Highly recommended newitts. Great service. Fantastic basketball, better than any other brand in my opinion. Has extremely good tacky grip, cushioning feels amazing, weighted perfectly and is also very durable. Worth every penny and Newitts sell this at an extremely good price!! Just don't ever use outside!! This is by far the best ball we train with and use for our matches. Newitts were by far the cheapest I could source this ball, and with free delivery which was a bonus. They arrived promptly and as described. I would definitely recommend the GGX ball and Newitts (and already have to fellow players). 5 out of 5 Perfect .. Buy it! I wanted an official game ball and after having recently starting balling again had opportunity to play with this and the leading Spalding ball. Great price and guaranteed your not getting a fake ball from newitts. This ball is so much better then the GG, it feels better has more grip and although the same weight as the GG this ball feels lighter in the hand, the GGX will be the ball to have for a long time to come .